The spirit of ‘Aloha’ was truly felt at the 9th annual SUNSET BARBECUE on June 6th! Thank you to ALL who shared their ‘love, peace and compassion’! Over $35,000 in net proceeds were raised to benefit Tolosa Children’s Dental Center. 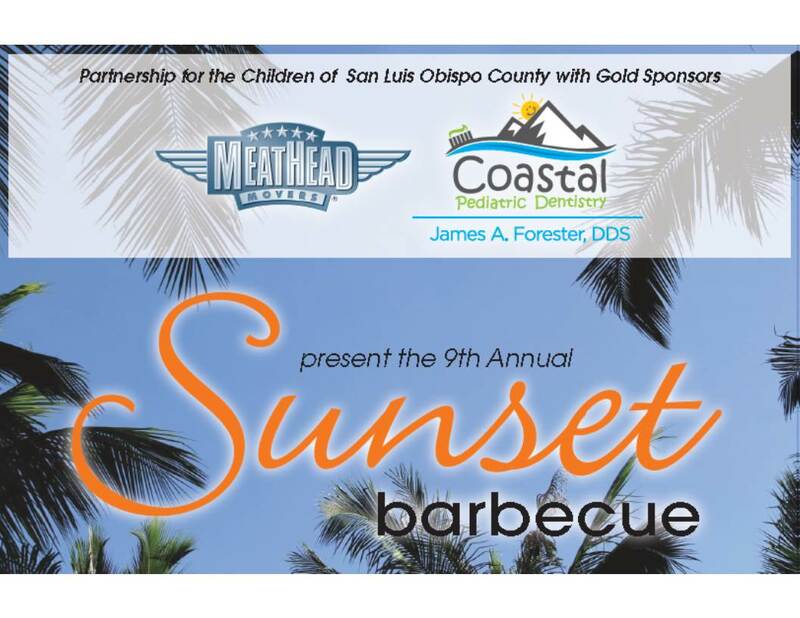 Special thanks to Gold Sponsors Meathead Movers and Coastal Pediatric Dentistry, Wine Sponsor Rabobank, and Entertainment Sponsor Hollister & Solomon General Dentistry for their generous support to underwrite the major costs of the event. Special thanks also goes to table purchasers San Luis Ambulance, Specialty Construction, Noll Properties, Dr. Kathy Phipps, Firestone Grill, and Hollister & Solomon General Dentistry, ALL event guests, generous donors and committed volunteers. Special acknowledgement goes to Jim & Elaine Gardiner who, as volunteer benefit auctioneers, effectively harnessed the positive energy in the room to raise bids on the Live Auction and Dessert Auction items! SAVE-THE DATE: The next Sunset Barbecue is scheduled for Saturday, June 4, 2016. More event details will be posted to this website, so check back regularly for updates.